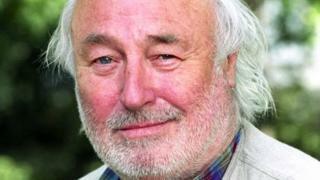 Bill Maynard, who has died at the age of 89, was best known as the loveable rogue Claude Jeremiah Greengrass, in the police drama Heartbeat. In real life Maynard shared many similarities with his best known character, a predilection for racehorses, greyhounds and booze. At one stage he was the best paid TV comic in Britain but he squandered his earnings. Maynard then embarked on a career as a stage actor, before returning to the screen in a number of successful television series. He was born Walter Frederick George Williams on 8 October 1928 in the village of Heath End in Surrey. At the age of eight he was performing in Working Men's Clubs, doing George Formby impressions. He later dabbled with the idea of becoming a professional footballer, apprenticed aged 15 to Leicester City and Notts County, but was eventually forced back to the stage by a knee injury. He returned to show business as a band singer, struggling to get a break at the Windmill Theatre. His luck changed after encountering another stand-up comic, Terry Scott. By this time he had changed his stage name to Maynard - a name, as he later revealed in a BBC interview, that he saw a on poster for Maynard's wine gums. He and Scott became TV stars in the 1950s with their own show, Great Scott, It's Maynard. The partnership ended when Maynard decided to embark on a career as a serious actor. But he was not paying enough attention to his finances and the Inland Revenue took his money, his home and his cars for unpaid taxes. Maynard spent several years in obscurity, forced to take bit-parts in repertory companies, and making small appearances in programmes like Coronation Street. He slowly rebuilt his career His role in the TV adaptation of Dennis Potter's play, Paper Roses, won him critical acclaim. He subsequently went on to enjoy success with such comedy shows as Oh No, It's Selwyn Froggitt and The Gaffer. In the 1970s he recorded a song in tribute to the sport of Stock Car racing released, to very little acclaim, on the appropriately named Crash Records. He also appeared in a number of Carry On films, although he professed to be baffled by their popularity. In 1984, he stood as an Independent Labour candidate against Tony Benn in Chesterfield. He said he had only done it to try and keep Benn out of Parliament and it was his only venture into politics. He subsequently went on to take his most popular role, that of Greengrass, in the TV series Heartbeat. It was a part that seemed to have been specifically created for him and Maynard worked with the scriptwriters to develop the character's idiosyncrasies. At its peak in 1997, Heartbeat attracted more than 60% of the Sunday night audience, earning Maynard a reputed £600,000 a year. His character was written out in 2000 after he had suffered several strokes, but returned in 2003 in a spin-off series set in a hospital entitled, The Royal. His first wife Muriel died from cancer just as he was tasting his second round of success, leaving Maynard to care for their two young children. He went on to marry speed ace Donald Campbell's widow Tonia.